Description: Share in their first Christmas together with our Christmas Is Here adult stationery. 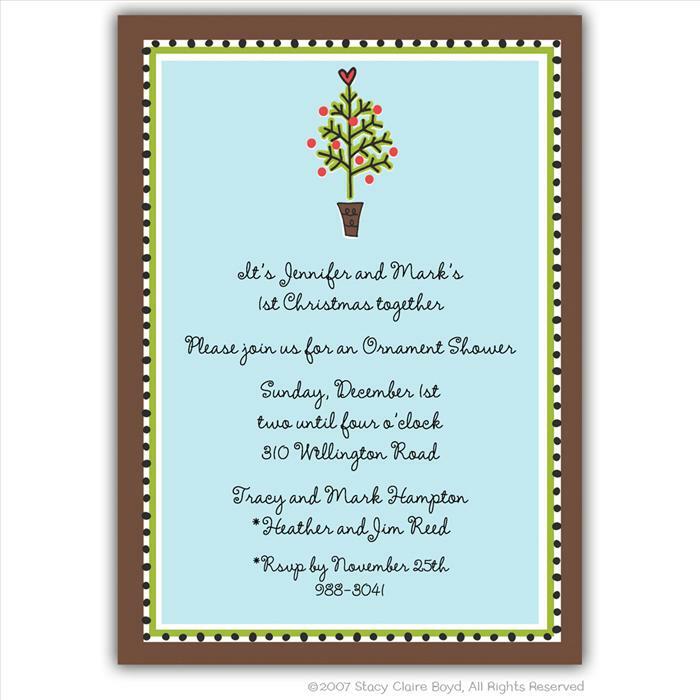 This design features a cheerful little spruce tree motif, topped with a sweet red heart against a blue background and bordered in white, green, black dots and brown. Card measures 5" x 7". Price includes up to 8 lines of text (extra lines are $5.00) Matching return address sticky or printed return address is available. Ribbon is extra, inquire for pricing. Pricing: 25 for $60, 50 for $70, 75 for $85, 100 for $100.